The excavation work of an ancient tomb from the Spring and Autumn Period (770 B.C. - 476 B.C.) is ongoing in Xinzheng, Henan Province. 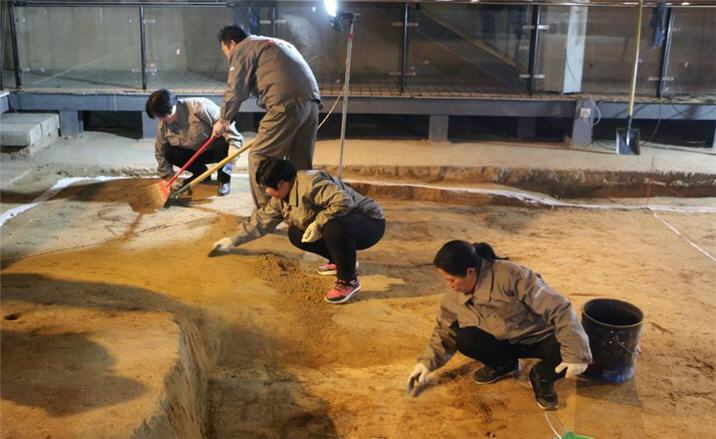 Normally, the archeological sites are only opened to the public after excavation work is complete in China. But this time visitors can not only see archeologists at work, but also experience the discovery of relics in real time, as headcams worn by researchers send images direct to a big screen. The excavation has already found more than 20 chariots and a large amount of horse bones. Chariots and horses were sunk into rivers or buried in the earth as sacrificial offerings in burial rites during the Spring and Autumn Period. The 12 meter by 11 meter pit is linked to the main tomb occupied by a nobleman.